Restoration Administrator (RA) for the San Joaquin River Restoration Program (as of August 1, 2013). The Settlement identifies the roles and responsibilities of the Restoration Administrator (RA) which is supported by the Technical Advisory Committee (TAC). The RA is jointly selected by the Natural Resources Defense Council and the Friant Water Users Authority and provides recommendations to the Secretary of the Interior and the Governor of California regarding specific elements of the Settlement related to the SJRRP’s Restoration Goal. The RA issues recommendations for the flow release schedule on the San Joaquin River, which can be found here: RA Recommendations. See Settlement sections 17 and 18 for additional information on the RA’s role. As of August 1, 2013, Tom Johnson began as the Restoration Administrator, replacing Rod Meade who served in that capacity since January 2009. Ane Deister served as the RA in 2008. The Technical Advisory Committee (TAC) features six voting members selected by and representing the Friant Water Users Authority and the Natural Resources Defense Council. Voting members of the TAC assist in advising the RA regarding areas outlined in the Settlement. 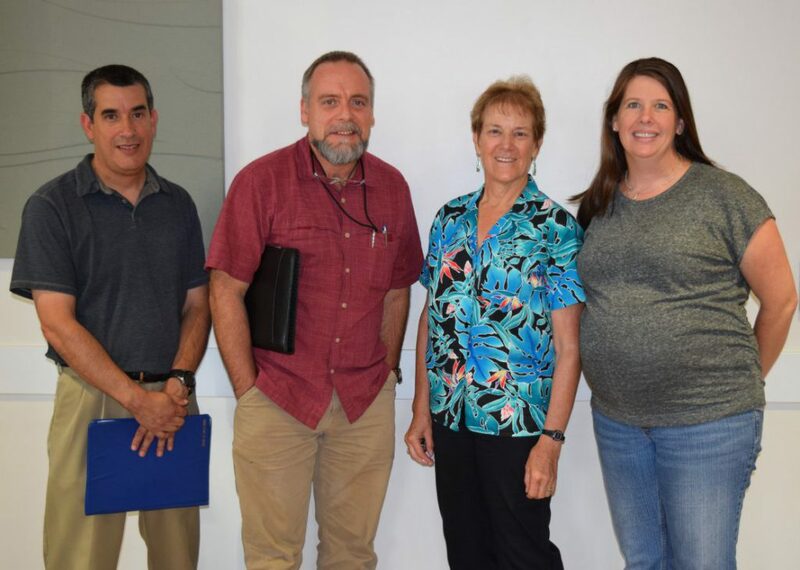 There are two nonvoting members of the TAC representing the State (DWR and DFG) and three Federal agency liaisons (Reclamation, NMFS, USFWS) to the RA and TAC to ensure coordination and information-sharing with the Implementing Agencies. The Technical Work Groups of the SJRRP are responsible for four distinct aspects of the Program. Water Management WG – responsible for addressing the water operations necessary for accomplishing the Restoration and Water Management Goals. Engineering and Design WG – responsible for the preliminary engineering and design of structure and flow channels needed to meet the Restoration and Water Management Goals. Environmental Compliance and Permitting WG – responsible for analyzing alternatives, determining their effectiveness, developing alternative descriptions and preparing the Programmatic Environmental Impact Statement/ Report. 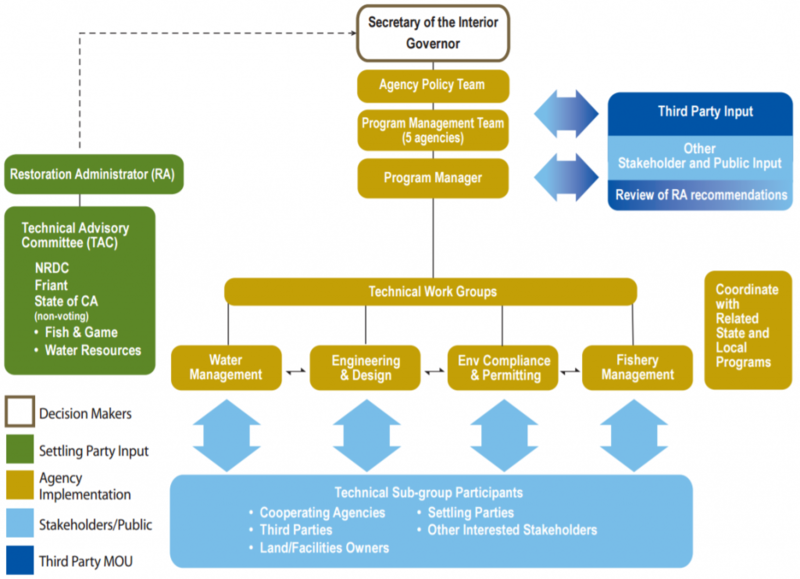 Fisheries Management WG – responsible for planning and coordinating the efforts to implement the Settlement sections related to meeting the Restoration Goal. Click here for information on the Public Technical Feedback Meetings that support Work Group efforts.